Narcissistic Game Playing is the most frequently viewed post on Planetjan. Perhaps the emotional game of “Tag! You’re it!” and the subsequent chase that is the hallmark of a relationship with a narcissist resonates with readers. Just when you think you are finally IT, the narcissist runs away and expects you to give chase. If you cry out in despair, they will mock you or accuse you of being too needy. You made me run away! Just as it takes two to tango, it takes two to engage in narcissistic game playing. And there is only one way for you to WIN this game. Those with Narcissistic Personality Disorder (NPD) are the consummate cons and this is how they roll. With such a barren inner life, narcissists derive much pleasure from engaging you, or complete strangers, in games, so they can do what they do best… bluff, evade, and even show you their poker face (though at times you might detect a snicker). I was recently creating a crossword puzzle for my students online and decided to give it the title Shall We Play a Game? I couldn’t remember if I had the phrase right and ended up googling War Games, the 1983 movie, which starred an incredibly young Matthew Broderick and Ally Sheedy. I hadn’t seen the movie since last century, so I fell down the Wikipedia hole. Bear with me because this explains how to beat the narcissist at his/her own game. In the movie, Professor Falken is an Artificial Intelligence researcher who designed a “Thermonuclear War Game.” The backdoor password is the name of his dead son, Joshua. and the computer identifies itself as “Joshua.” David (Broderick) is the slacker hacker who inadvertently activates the game when Joshua asks, “Shall we play a game?” It soon becomes clear that this is not a game. The countdown to WW III begins with David and his friend, Jennifer (Sheedy,) frantically trying to locate Professor Falken. Even after he’s found, all seems lost until Falken and David direct “Joshua” to play tic-tac-toe against itself. This results in a long string of ties, forcing the computer to learn the concept of an unwinnable game. Joshua obtains the missile code, but before launching, it cycles through all the nuclear war scenarios it has devised, finding they too all result in stalemates (“WINNER: NONE”). 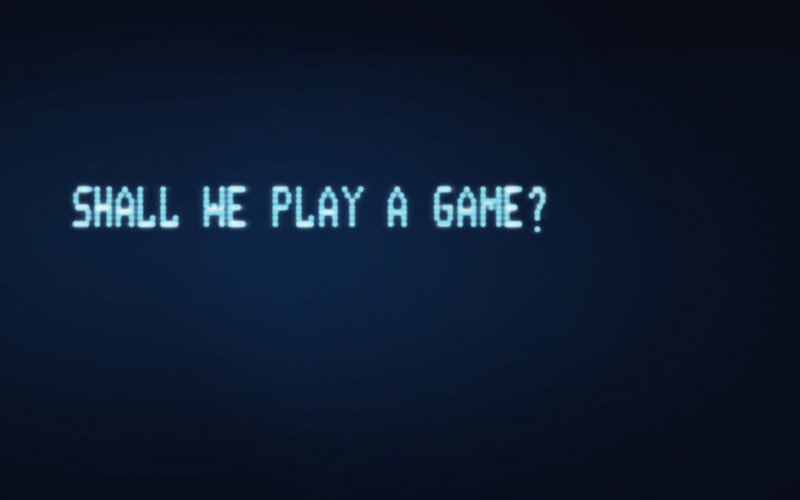 Joshua concludes that nuclear warfare is “a strange game” in which “the only winning move is not to play.” The computer then offers to play “a nice game of chess,” and relinquishes control of NORAD and the missiles averting nuclear disaster. The only way for you to win this game is NOT to play. Game over. Disaster averted. Life goes on. Upbeat music. Closing credits.